Dubai, U.A.E. : SOUQ.com has announced the pre-order of the highly awaited Note8, from August 24th to September 10th in the UAE. 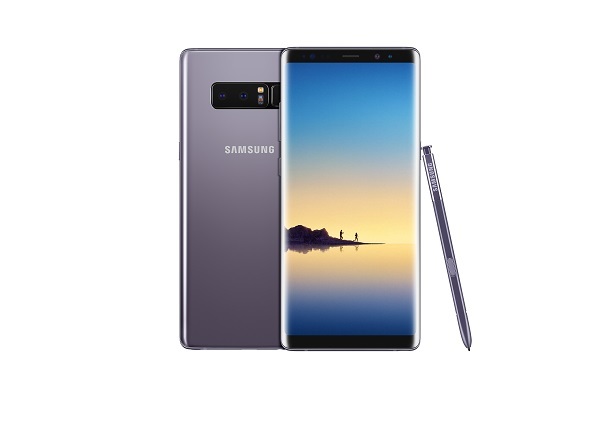 SOUQ.com is offering exclusive bundle offers to customers who pre-order the new Note 8 and will start shipping the Samsung Galaxy Note8 starting September 14th, 2017. Anticipated to be a popular smartphone this summer, The Galaxy Note 8 is priced atAED 3,399 on SOUQ.com. The device is available through official Samsung Store on Souq.com and comes with 1 year brand warranty. Customers who pre-order on SOUQ.com will get free shipping as well as exclusive offers including a free AKG premium speaker worth AED 599, AED 100 voucher for next purchase on Samsung Official Store on SOUQ.com. The Galaxy Note8 has the biggest screen ever on a Note device, yet its narrow body makes it comfortable to hold in one hand. The 6.3-inch Quad HD+ Super AMOLED Infinity Display lets you see more and scroll less. The Galaxy Note8 gives you more room to watch, read and draw—making it the ultimate multitasking smartphone. With the Galaxy Note8, the enhanced S Pen unlocks entirely new ways to write, draw, and interact with the phone and communicate with friends. It has a finer tip, improved pressure sensitivity, and features that enable users to express themselves in ways that no other stylus or smartphone ever has. The Galaxy Note8 is the first smartphone with two 12MP rear cameras with Optical Image Stabilization (OIS) on both the wide-angle and telephoto lenses. Whether you’re exploring a new city or running around your backyard, OIS lets you capture sharper images. The new Samsung Note 8 is designed to help you achieve more in work and life with an Infinity Display, enhanced S Pen and Dual Camera with Optical Image Stabilization. SOUQ.com is the largest online retail and marketplace platform in the Arab world, featuring more than 8.4 million products across 31 categories such as consumer electronics, fashion, health and beauty, household goods, and baby. Today, SOUQ.com attracts over 45 million visits per month, with localised operations in the KSA, UAE and Egypt. Previous articleZOWIE eXTREMESLAND CS: GO Asia Open 2017 Gaming Competition is back!